Today’s teenagers often do not receive all the vitamins and minerals their bodies require. Modern diets lack the adequate amounts of nutrients required to maintain optimal health. Growing children and teenagers have special nutritional needs to ensure proper physical and mental development. 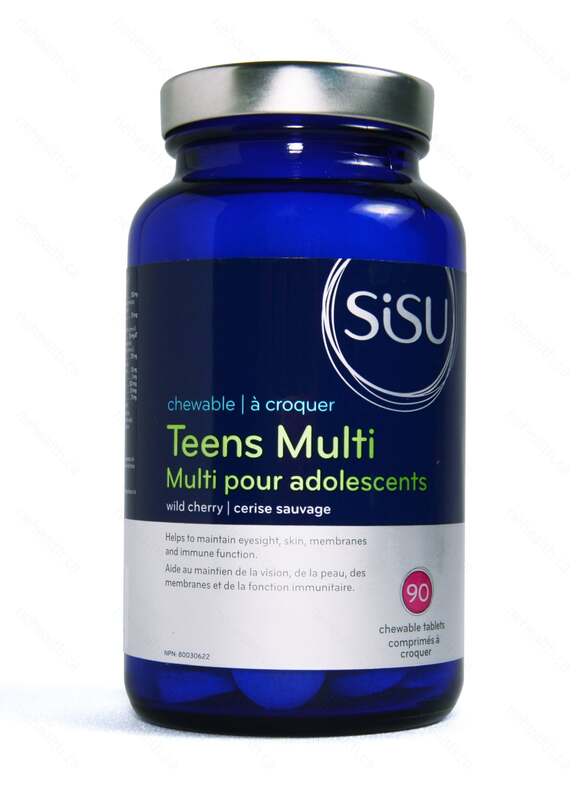 SISU Teen Multi is a quality, Canadian product you can trust to give to your growing children to help them reach their full potential. 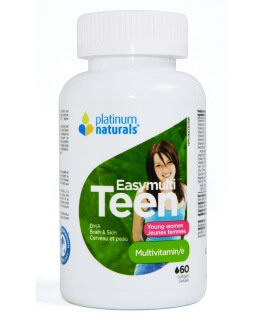 What Makes SISU Teen Multi the Right Multivitamin For My Teenager? 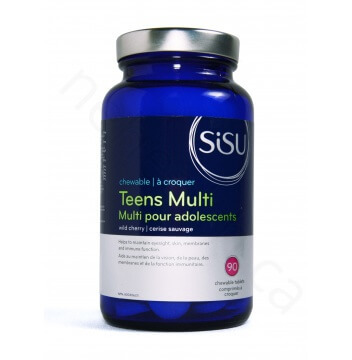 SISU Teen multi includes vitamins and minerals chosen specifically for your growing teen. Extra B vitamins are inserted to help with mood and stress management. Vitamin A works to keep their skin looking good and acne free. Vitamin C and Zinc combine to improve your teens immune support. 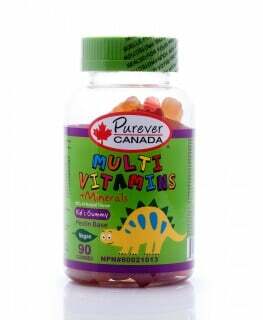 Teen Multi uses great tasting chewable wild cherry flavoured tablets using only all natural flavours and sweeteners. Non-medicinal ingredients: D-fructose, citric acid, natural berry flavour (raspberry, black raspberry), Stevia rebaudiana leaf, Prunus avium (sweet cherry) fruit extract, natural cherry flavour, dextrose, silicon dioxide, stearic acid (vegetable), magnesium stearate (vegetable), microcrystalline cellulose. Contains no dairy，gluten or peanuts. Chew 1 tablet per day or as directed by a health care practitioner. 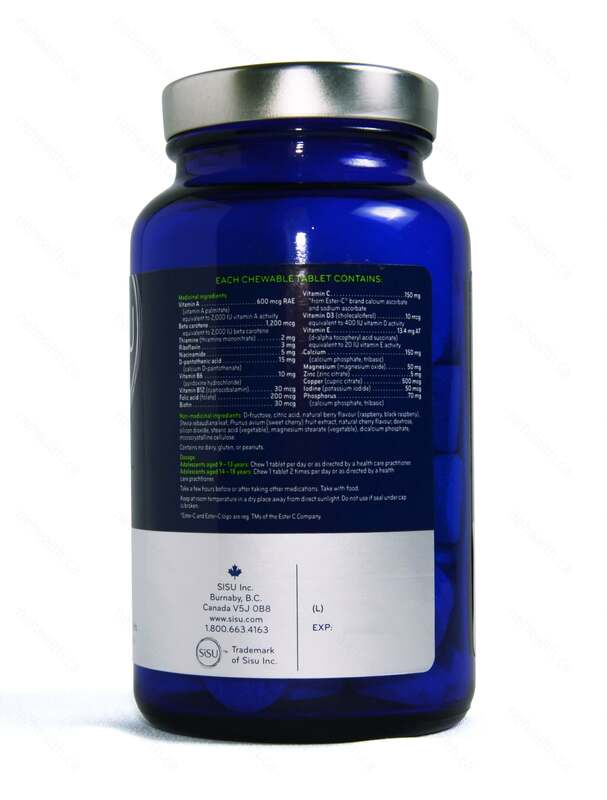 Chew 1 tablet 2 times per day or as directed by a health care practitioner.